Dennis Lehane grew up in the Dorchester section of Boston and currently splits his time between Los Angeles and Boston. He’s published ten novels, three of which (Mystic River, Gone Baby Gone, and Shutter Island) have been made into award-winning films. Dennis will be signing and discussing his latest title that continues the historical saga that started with The Given Day followed by Live By Night. In his latest, World Gone By, it’s been ten years since former crime boss Joe Coughlin’s wife was killed and his empire destroyed. Now he travels between Florida and Cuba as consigliore to the Bartolo crime family, moving effortlessly between Tampa’s elite, the mob, and the Cuban underworld. It’s only a matter of time before the sins of his past catch up to him. Please note that this is a numbered event. Numbers for the signing line are free with the purchase of World Gone By from Mysterious Galaxy, which will be available March 10. This is a numbered event – numbers for the signing line are free with the purchase of World Gone By from Mysterious Galaxy, available March 10th, starting at 10 AM! The NIGHT OF THE LIVING BOOK CLUB will discuss Shutter Island by Dennis Lehane. Join Dennis Lehane, Nancy Pearl, and 30 Northwest authors for an evening of books, conversation, food, and wine on Saturday, March 23, at the Hyatt Regency Bellevue. Benefit book sale, author signings, sit-down dinner, and remarks by by Dennis Lehane. Tickets are $200, a portion of which is tax-deductible, and proceeds benefit the King County Library System Foundation. 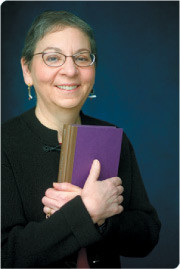 Nancy Pearl emcees Literary Lions Gala March 23. Dennis Lehane discusses Live by Night. Dennis Lehane signs Live by Night. 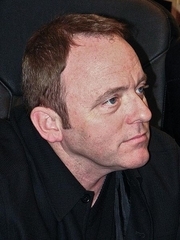 Dennis Lehane is the author of nine novels—including the New York Times bestsellers Gone, Baby, Gone; Mystic River; Shutter Island; and The Given Day—as well as Coronado, a collection of short stories and a play. He and his wife, Angie, divide their time between Boston and the Gulf Coast of Florida. Before becoming a full-time writer, Mr. Lehane worked as a counselor with mentally handicapped children, waited tables, parked cars, drove limos, worked in bookstores, and loaded tractor-trailers. His one regret is that no one ever gave him a chance to tend bar. Dennis Lehane reads from Live by Night. Dennis Lehane's book USA Noir was available from LibraryThing Early Reviewers. Dennis Lehane's book Vengeance was available from LibraryThing Early Reviewers. Dennis Lehane's book The Given Day was available from LibraryThing Early Reviewers. Dennis Lehane is currently considered a "single author." If one or more works are by a distinct, homonymous authors, go ahead and split the author. Dennis Lehane is composed of 15 names. You can examine and separate out names.